It is always hard to write the kind of story where the action film syncs with intelligence. Especially when that story, even remotely, touches upon politics. But you have nothing to worry about, for one simple reason, the screenplay of the political action thriller THE GUNMAN is produced by Sean Penn, which means we will get our dose of intelligent thinking and be immersed deep into a story, which in reality, is something more than an action film. 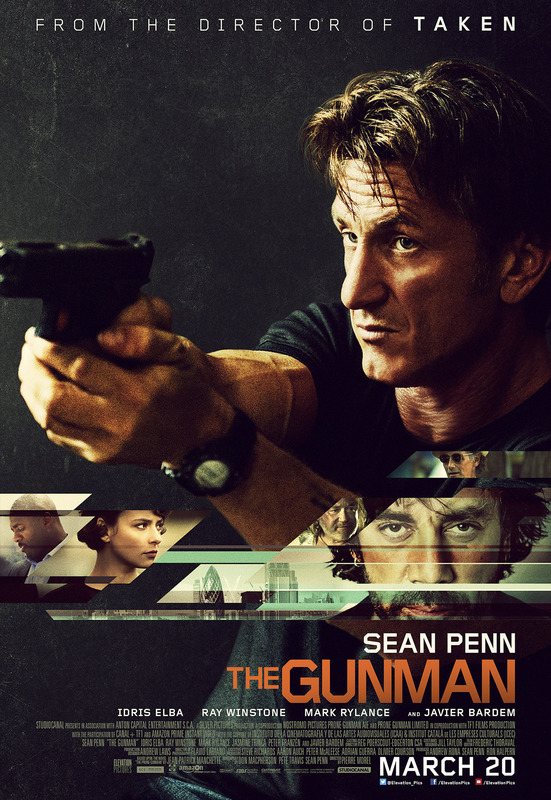 THE GUNMAN is one of those action packed films we have been waiting for. It manages to connect all the dots which makes it an interesting film to follow. If you`re familiar with Penn`s point of view in terms of politics, then right from the opening title, where we find Penn`s name as one of the producers, you will realize that you`re not there just to watch a credible action film, but more than that. You will watch a clever film with deep meaning, with a message delivered by Penn who strongly believes that whatever happens in the film is the aftermath of the violence created by those who allowed it to happen. It is also interesting how the story in THE GUNMAN develops so quickly. It does not allow the viewer to get bored. It has the right amount of action, clever dialogue, and slow moments, which are certainly required if the director does not want this film to turn into a Jason Statham type of film, which is the kind you will forget immediately. But what fascinates me most about this film is the amazing physical readiness of Sean Penn. In conclusion, THE GUNMAN is a well-made film with a strong message for those, who understand and would agree that there is always another way to deal with a problem besides killing someone which may be just the beginning of the end; proving that there are always consequences for those who use a gun to kill. The concept in this film will certainly interest everyone, especially those who strongly believe that it`s better to be armed with the truth than with a gun.